Today, organizations have increasingly grown more conscious than ever about Corporate Social Responsibility (CSR). The idea of CSR can be explained as a continuous commitment of organization to develop morally and provide contributions to the economic development while enhancing the quality of life of the employees, the local community as well as the society at large. However, Indian companies struggle to decide the extent to which their business should focus on CSR activities. It is clear that CSR activities have transformed from a nice-to-do to a must-do trend. Still there is a large potential unexplored in employee engagement by aligning employee contribution and CSR activities. It has always been influenced by two factors, how big or little is the contribution (the scope of CSR) and the level of maturity of the firm. Human Resource should be the enabler of CSR in either of the above cases. It is only the HR who can ensure that the work ethos involves CSR through various organization design interventions and it is they who can influence workers to drive its practices.Also, HR will do justice to such activities since by aligning employees as well as the community they can bring synergy. Since HR function interacts with the workforce for recruitment directly they can create an employer brand since community of employees is an extended organization. Also, HR is capable of handling sensible issues in a tactful manner. CSR is a function of great power and responsibility. If organization can engage to accept HR as a responsibility, it can surely make a very big difference. This will reflect in their greater interest to own the function and drive. These activities also add a lot of value to engagement of employees, followed by employer branding during the process of recruitment and selection. It also adds capabilities and skills. So rather than introducing it as an initiative or event, HR should imperatively ensure that CSR functions are included in all their policies and programs. HR should involve the employees as well as the other stockholders in the development of the vision, mission, objectives and goals of the CSR framework. CSR should be woven employer value proposition, brand and recruitment as well as the orientation program. CSR can also impact organization performance if enabled through HR. Job descriptions, goal setting and specifications can incorporate the key competencies and gaps of CSR after proper identification of the same. Many organizations have begun to recognize in their yearly awards function, contributions made by workers to CSR. Beneficiaries are also called from various CSR to give away awards and accolades of appreciation to the employees. Many more such avenues may open up in the days to come. 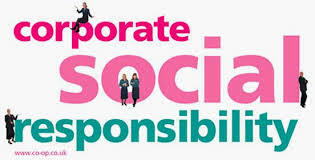 It may be beneficial if employees are made aware about the CSR activities of the organization. They should be encouraged to take part in CSR activities from the very beginning. It may be a fruitful idea to create a sustainable participation of CSR activities in the organization. Promoting the ideology through recruitment and selection programs, activities of advertising and branding of employer and by value proposition of the organization are likely to see the business improve a long way in future. Organizations which aspire to advance along the CSR road should take HR as a critical partner. The HR should in turn understand the various practices outlined by the major global frameworks. A lot of them exist to support CSR strategy. However, there exists a popular belief that in the practical world these activities are for larger organizations and those which are strong financially. Probably this hold to some extent. However, many small and mid-sized organizations exist that are highly conscious about the CSR activities in their organization. They seem to be continuously thinking and developing their CSR strategies, aspiring to become successful business models through CSR. Also, if organizations begin CSR at a tender age, it helps in forming sustainable models of CSR in the organization. Research shows that smaller organizations are very clear about the function of HR in enabling CSR activities. They mostly believe that it ought to be a joint responsibility. Having this clarity about HR functions from the very beginning will help in building sustainable CSR models. HR should try to know the employees and find out what matters for them by sending out a survey or a simple, casual talk over coffee so that employees may share community issues that they support. After getting the information, HR should identify the trends in the employee values. It should be remembered the employees feel delighted after they realise that their ideas are recognized and that their inputs actually makes a difference. Also, by identifying the culture of the organization events may be organized. For example, a competitive firm may organize a competition on top of an activity. Corporate giving programs should be made an embedded part of the culture and hence having employees to give back will be rewarding in many levels. One should not forget that it is always important to be genuinely driven by authenticity. Hence making a connection based on values with employees will be meaningful and rewarding.